We are excited to invite you to the 16th Annual Turning Hearts Celebration! Last year, we began plans for our usual Labor Day Event, but decided to cancel to have two weddings that weekend instead. We definitely thought it was worth it to change our usual event to weddings! This year, though, we are looking forward to welcoming all of you to our farm once again for a day of family encouragement. The Celebration will feature guest speaker Flip Benham, father of David and Jason Benham. 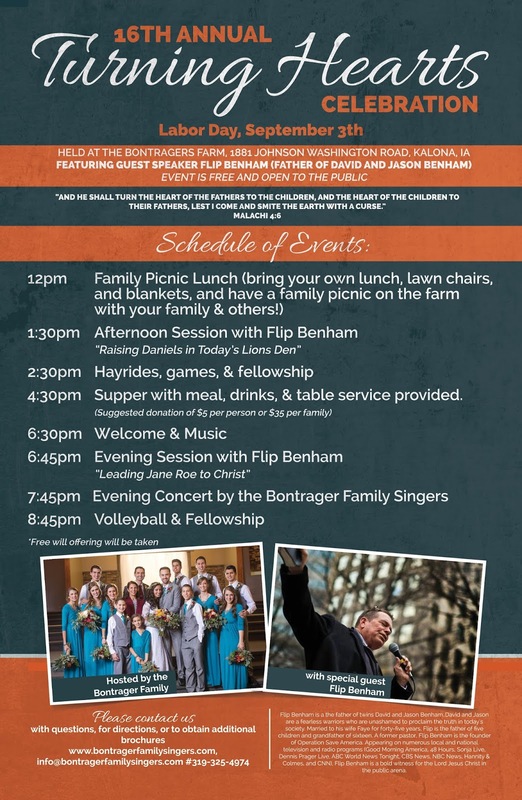 Join us for a day of fellowship, fun, and encouragement for the entire family.